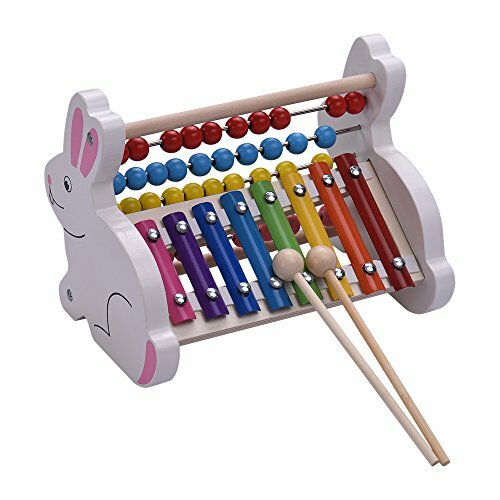 Clever construction and colorful design: xylophone and abacus 2-in-1 multipurpose design , plus the bright colors and cute rabbit patterns, children will be willing to play. Easy and fun to play: children can use the included mallets to knock the metal keys to play melodies or simple songs, and counting beads to study simple math. Educational musical toy: enables children to learn while having fun, cultivating children's coordination ability of hands and eyes; promoting musical sense and math skill, etc.